We think of suicide as something in the world of adults; rarely do we hear of young children taking their own lives. It does, however, happen — at an average rate of 33 kids a year between 1993 and 2012, according to the CDC. These children had many things in common, including a higher rate of ADD and ADHD. If you’re worried that your child or teen is having suicidal thoughts, ask them directly. Jeffrey Bridge of Nationwide Children’s Hospital suggests parents who are concerned about their child’s behavior consider taking their child to see a mental health professional. “Parents, teachers and health care providers need to be aware that although suicide is extremely rare in elementary school-aged children, a child can and sometimes will think about and even attempt suicide,” he says. Read the American Association of Suicidology’s list of warning signs and risk factors for young people. And add this number to your contact list: National Suicide Prevention lifeline, 1-800-273-TALK (8255). 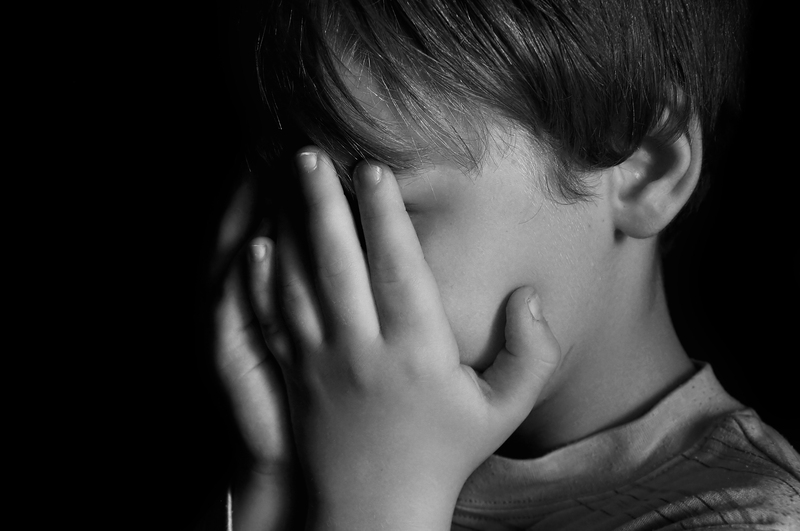 A new report published in Pediatrics examined data from the 693 children between ages 5 and 14 who died by suicide in the U.S. between 1993 and 2012. “Among the roughly one-third of these children with a known current mental health problem, children [ages 5 to 11] who died by suicide had higher rates of ADD and ADHD compared to early adolescents who died by suicide,” says Jeffrey Bridge, the paper’s senior author and an epidemiologist at the Research Institute at Nationwide Children’s Hospital. The study wasn’t designed to establish whether ADD/ADHD is a risk factor for suicide in children, notes Bridge, who says future research is needed to investigate this possibility. “Suicide prevention efforts in adolescents and adults often focus on identifying and treating depression. Perhaps a suicide prevention strategy that includes a focus on behavioral factors is needed for children,” he says. The report also notes an increase in suicide rates among young black boys, a finding that has been previously published and reported. The rate for black children ages 5 to 11 who died by suicide doubled between 1993 and 2012; in the new study, black children accounted for 37 percent of the 87 suicides of elementary school-aged children. These numbers are shocking but mental health experts warn that suicide is more complicated than statistics may suggest. “This study shouldn’t raise alarms for African-American families that have children diagnosed with ADD that they need to worry that their child will impulsively kill themselves. It’s usually a much more complicated picture,” child psychiatrist and part-time associate professor at Harvard Medical School Dr. Nancy Rappaport tells The New York Times. James Mazza of the University of Washington (UW) agrees. The reminder: Being a parent means helping children through their emotional pain. Don’t worry about putting thoughts in their head, either, says Mazza, father of three children under age 10.